Extend your pinkie as you sip your cup of tea, and cozy up in front of the fireplace at this English-style inn, hidden on a quiet street, three blocks uphill from Union Square. The multilingual staff seems to know everyone's names, and goes out of their way to provide thoughtful perks like a gourmet breakfast spread, and a plentiful wine hour. Spend a rainy afternoon in front of the fireplace in the Lion & Bell Library sifting through the inn's generous collection of books. Sizable rooms feature floral carpeting and wallpaper, reproduction Edwardian furniture, and gas fireplaces topped by book-lined mantels. Retro touches like striped hanging lanterns and fun paintings hint that this B&B is not merely for the doily-loving crowd. The mini-fridge is stocked with complimentary beverages--and there is a coffee-maker for folks who don't want to head downstairs for their caffeine fix. Expect marble sinks and luxe bath products. The soft waffle-weave robes add a touch of class. The kind staff greets guests as they enter the small entryway. The Lion & Bell Library offers a respite from the outdoors with comfy sofas and chairs. 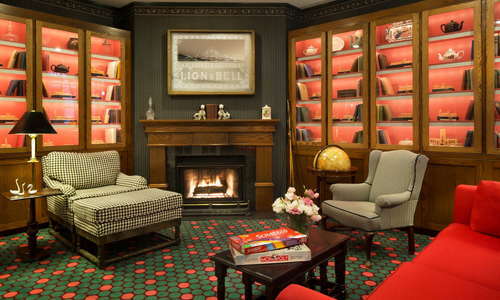 Sit in front of the fireplace in the Parlor sipping wine at Wine Hour, or playing a game of Scrabble with your sweetie. There is no gym onsite, but guests are offered discount passes to a fitness center. 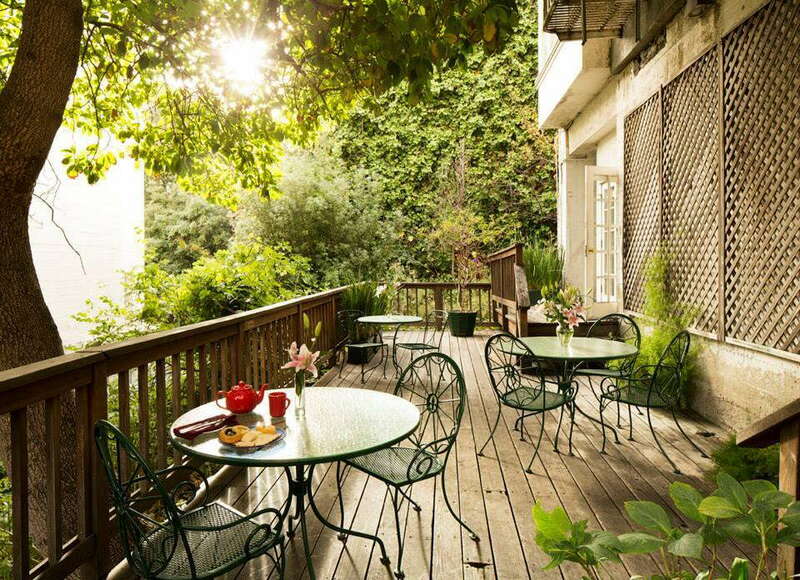 A plentiful gourmet breakfast spread in either the dining room or on the small landscaped patio. Pastries, hard-boiled eggs, and yogurt rub elbows with quiche, bacon, and griddle fare. In the evening, the inn offers wine, cheese, and tea. Complimentary cookies are for the taking throughout the day. There is a nightly wine hour to sample choice varietals. The partnering cheese spread is a nice touch. 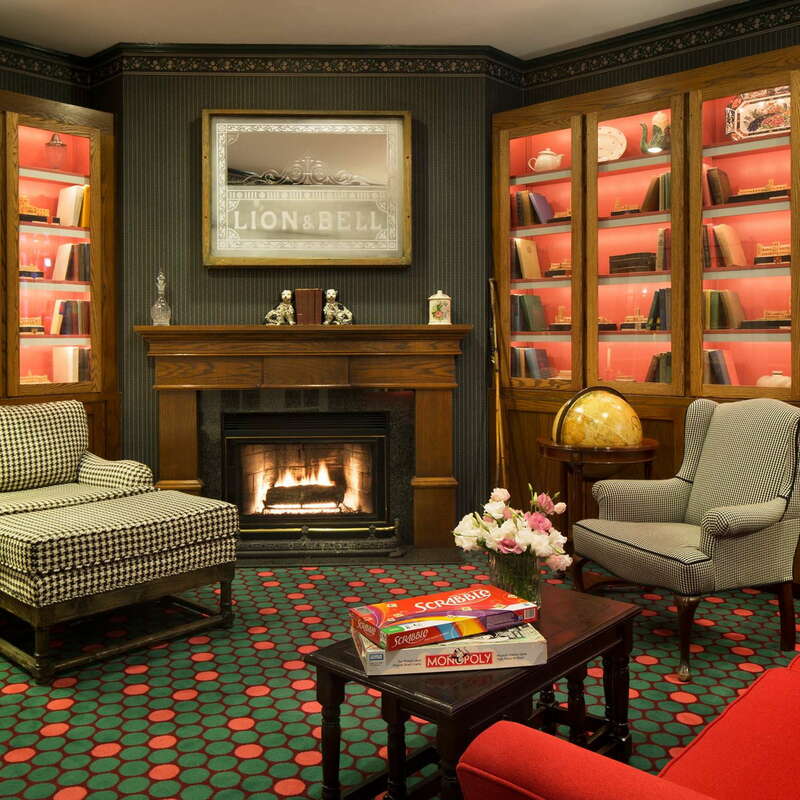 Check out the hotel's vintage memorabilia, including wooden matchstick sculpture in the Parlor. The hotel's parking rates are $45 a night, but driving around downtown is a chore. Walkers will appreciate ascending Nob Hill and exploring Union Square by foot. Hop on the bus, cable car, or BART--all within a few blocks of the property. Fusion favorite Tacorea (1-minute walk) serves up Korean tacos in low key atmosphere. Line up for schwarma and hummus at casual The Halal Guys (6-minute walk). Pints please beer lovers at Hopwater Distribution (2-minute walk), a lofty brewery serving up winning IPA paired with deviled eggs. Sip a martini at Top of the Mark (5-minute walk) which offers the city's best view atop Nob Hill. 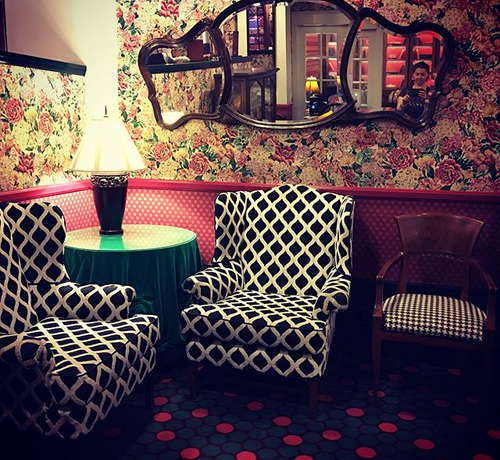 Get the royal treatment at this sweet inn, hidden above Union Square. The breakfast spread, cheery staff, and ample wine hour give you an excuse to leave the spacious rooms.